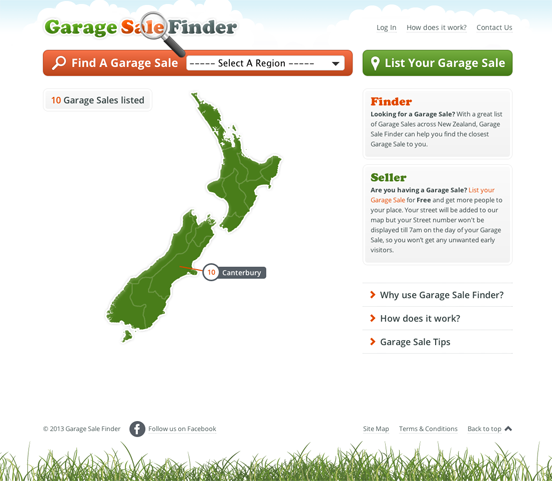 A website which allows its users to post garage sales using Google maps. Built using WordPress, Gravity Forms, and jQuery. A very new and joint project between designer Jason Moore* and I. 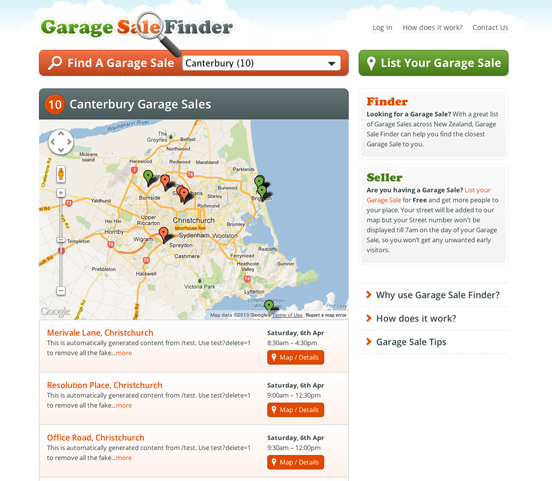 The website is a service the shows garage sales user submitted locations plotted onto Google Maps in different NZ regions. 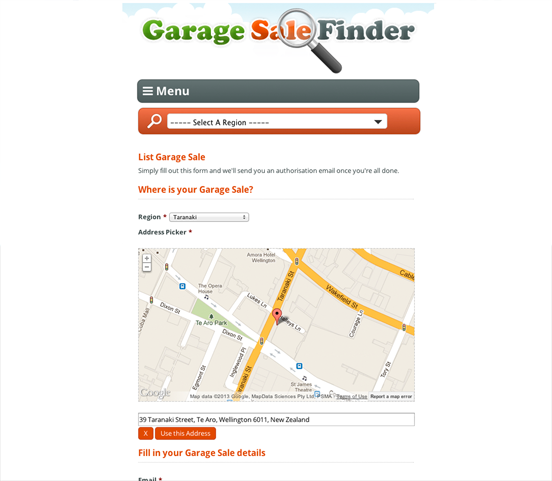 The first incarnation of the site protects its users by disallowing the exact address until the morning of the garage sale. This is to save visits from early birds on a Saturday morning! Users sign up by interacting with a simple form and entering an address which is then geolocated. Once a sale is verified, a listing is generated. Future listings a rolled in every Sunday night for the following week. In the future, premium listings and push notifications are planned. The Gmap3 jQuery plugin made the task of implementing the maps a lot easier, but it was still a learning process in order to protect client addresses from being known with a reverse lat/long look up. At close zoom levels a 2km diameter circle is drawn, showing that the garage sale is located within.